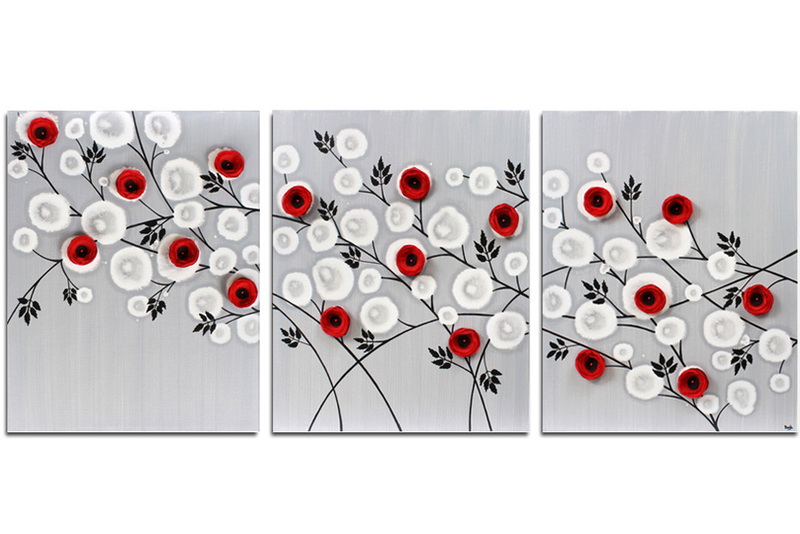 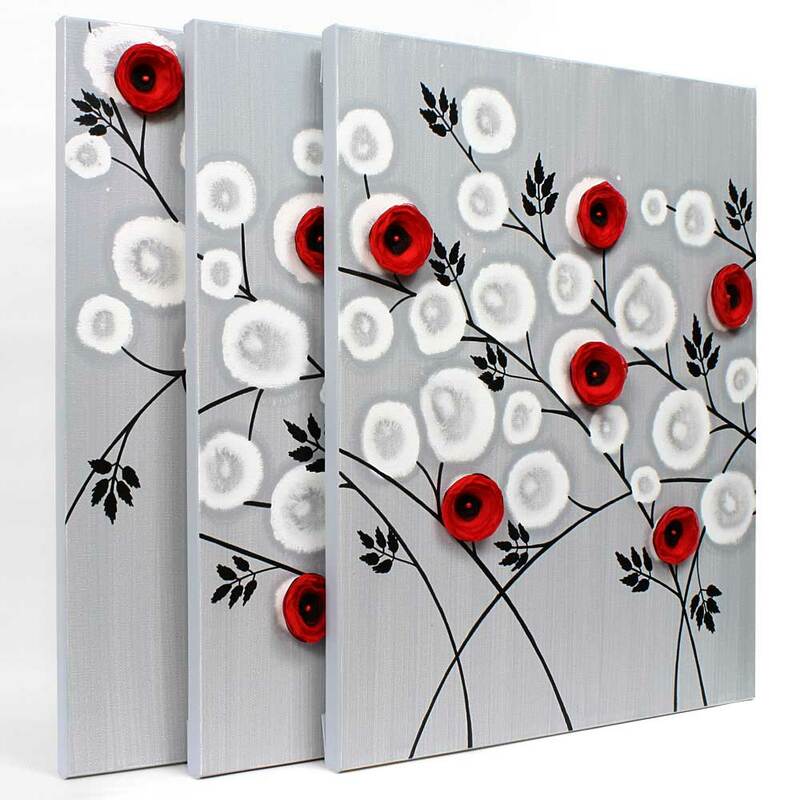 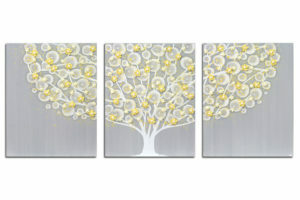 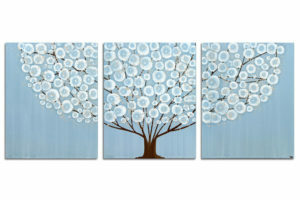 This abstract painting features red roses climbing across three canvases. 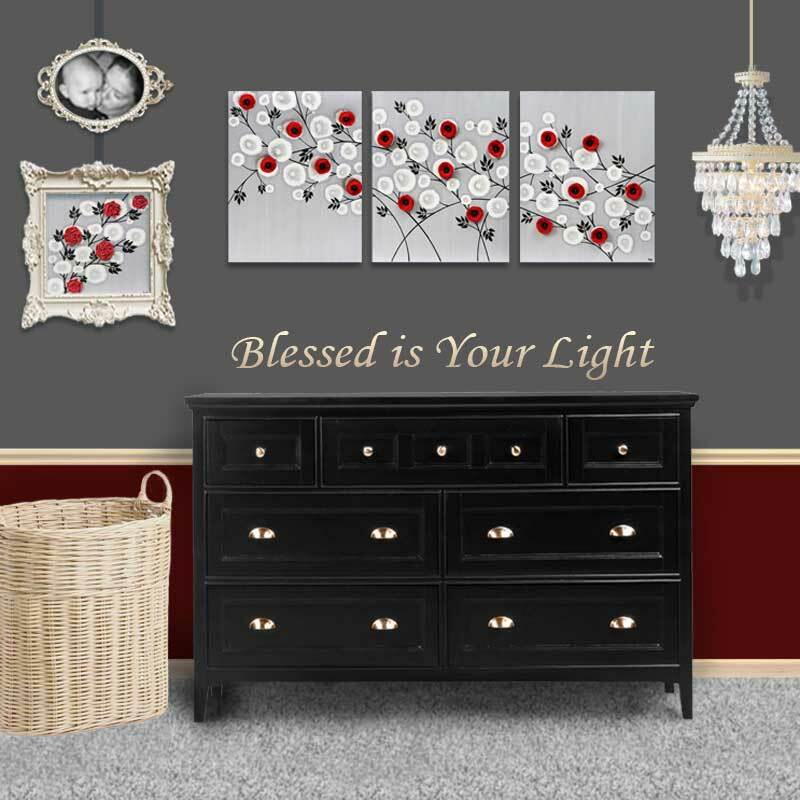 Each branch is hand-inked in black India ink creating bold arches that capture your attention. 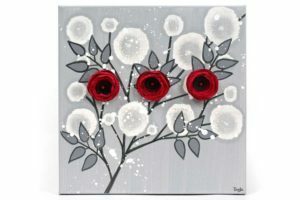 But it’s the texture of the fluffy red roses that will make this painting draw you in for a closer look. 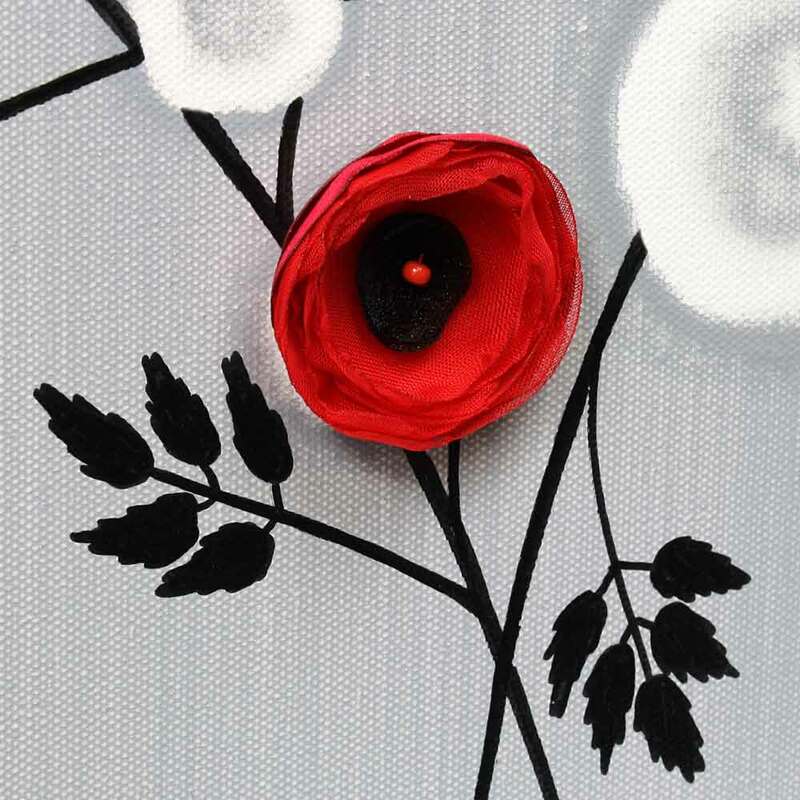 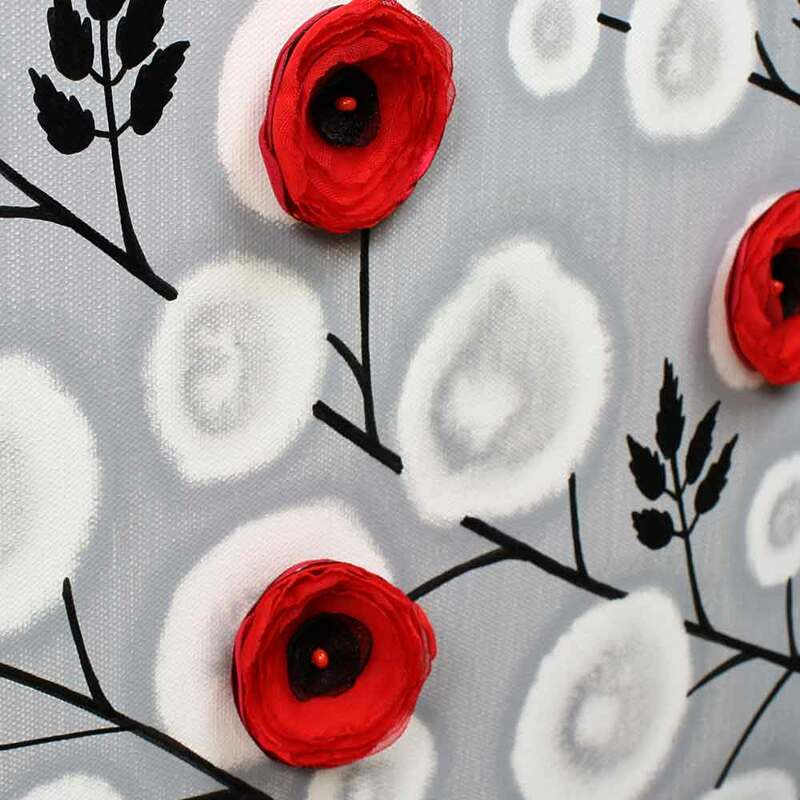 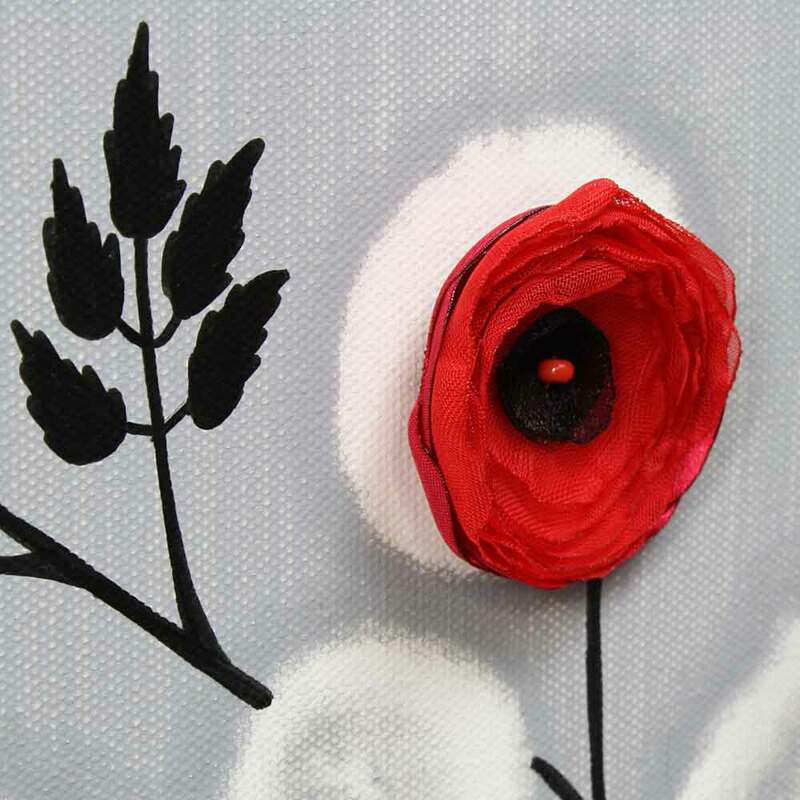 Each rose is hand-crafted with layers of organza and satin, then sewn onto the canvas with glass beads.